EXECUTIVE COACH -- Fiona Deal is an experienced and award-winning HR and OD consultant, facilitator, coach and leadership/management development trainer. She now works independently, having started her consultancy career as an Associate with Mary Gober International in early 2014. Fiona’s career in HRD has spanned public, private and not-for-profit sectors. Most recently, Fiona was a key executive reporting to the CEO on the top team of AmicusHorizon, one of the largest and most successful Housing Associations operating in London and the Southeast. Fiona’s ‘People Agenda’, a culture change program, was instrumental in transforming the organization from a failing ‘basket case’ in regulatory supervision in 2009 (when she joined) to the best performer among peers on a range of KPI measures in 2012. Fiona’s leadership of the people & culture program saw AmicusHorizon scoop a number of prestigious employer awards, including Investors in People GOLD at the first attempt, ranking in the Top 20 of the Best Companies Sunday Times Top 100 not-for-profit listing in 2012 and 2013, and recognition as one of Britain’s Top Employers in 2012, 2013 and 2014. Fiona started her professional career with Kent County Council, where she worked as an advisor in the County Personnel Department responsible for pay, benefits and employee relations. Culture Change, Organizational Development, Change Management, Employee Engagement, Performance Management, Training, Business Strategy, Human Resources, Coaching, Leadership Development, Strategic Planning, Stakeholder Engagement and Management, Employee Relations, Training. Before joining AmicusHorizon as Executive Corporate Services Director in 2009, Fiona spent 8 years with Moat, another Housing Association, rising from HR Director to Executive Director responsible for Organisational Development. Fiona joined the housing sector from the financial services sector, where she spent three years employed by The Bank of New York in London as Head of Training and Development in Europe. As part of this role, Fiona led teams based in London, Edinburgh and Brussels, and personally designed and delivered leadership development programmes accredited by the Institute of Leadership and Management. In the earlier part of her career, Fiona worked for Kent Police as Personnel Operations Manager, a role responsible for police, civilian and special constabulary recruitment, and designing promotion assessment centers for police ranks from constable to superintendent. Fiona attended college at St Simon Stock, Maidstone. 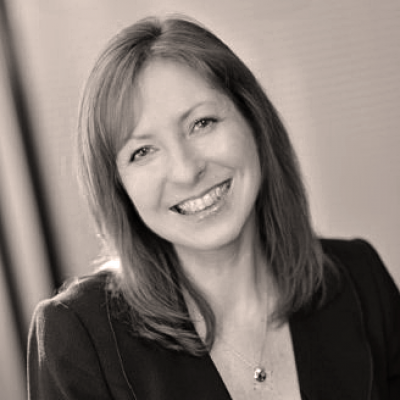 Fiona has been a Fellow of The Chartered Institute of Personnel and Development since 2005. Fiona also helped AmicusHorizon win an unprecedented SIX HR Excellence Awards in 2012, more than any company regardless of sector has achieved before or since. In recognition of her leadership of the transformation, Fiona won a Global Business Excellence Award as ‘Outstanding Executive’ in 2013 and was ranked number 22 of the top 100 most influential HR professionals in a poll conducted by HR Excellence Magazine in the same year.